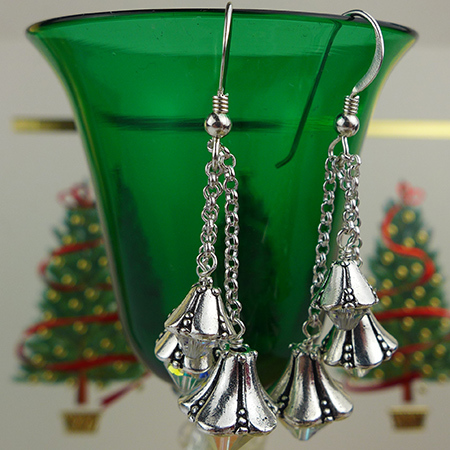 These Jingle Bell Earrings will become your favorites, They make great holiday earrings, but think how lovely they would be for spring and weddings. If you want, you can make in the Gold Tone TierraCast Bells and change the Swarovski Crystals to any of the many colors. Click here for printable instructions and the components required are below for your ease in shopping.